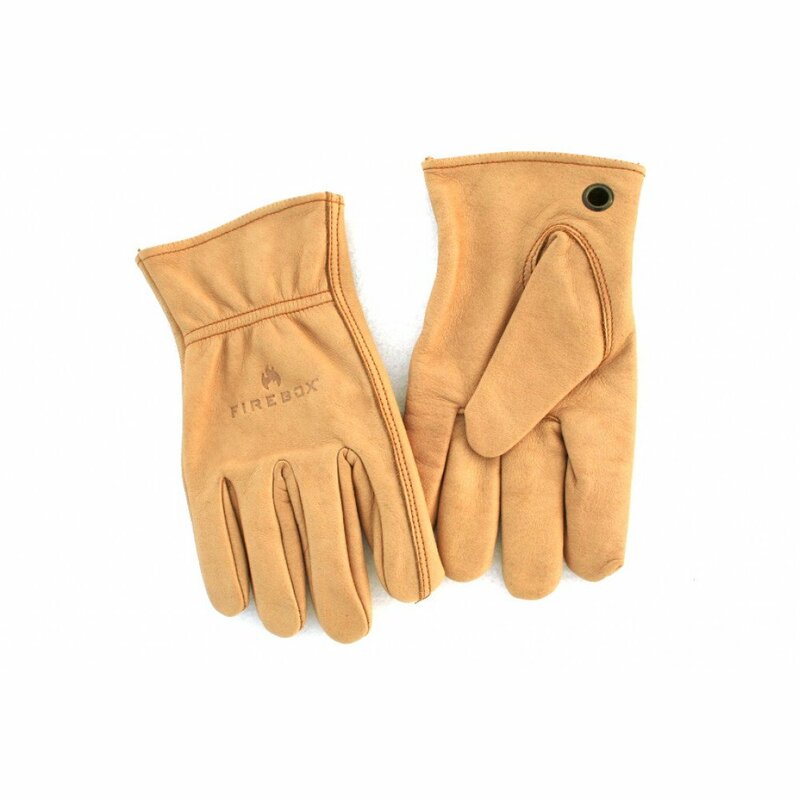 Ultra Versatile, Lightweight, Durable & Can Be Seasoned! Yes, Just Like Cast Iron! I've been interested in alternatives to non-stick coatings and I love my cast iron cookware... well other than it's too darn heavy. 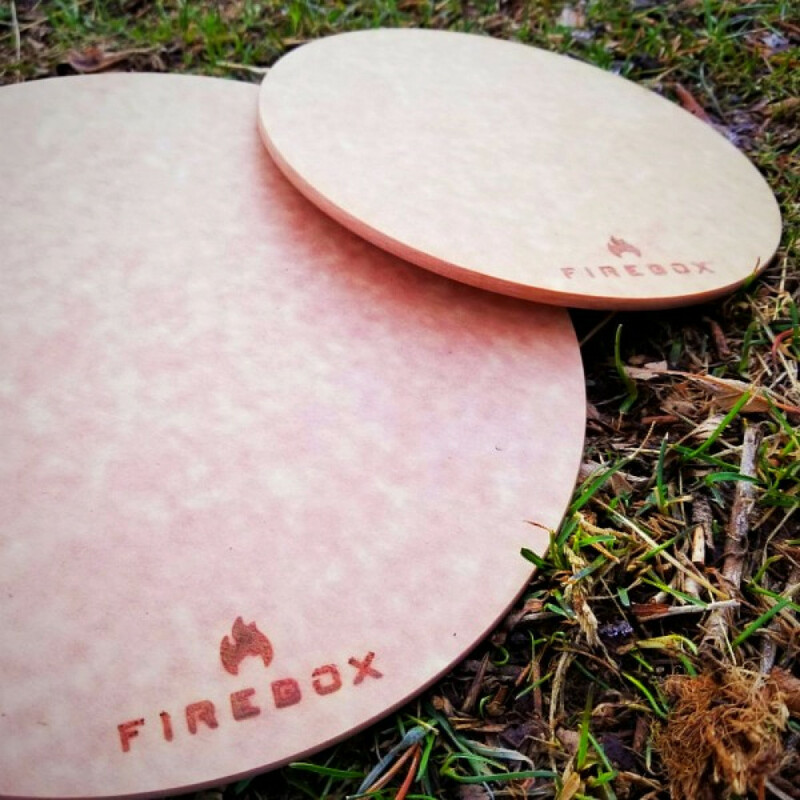 Hard anodized aluminum makes perfect sense, It conducts heat extremely well, it's very abrasion resistant and it's micro structure is perfect to accept a seasoning! It comes with everything you need in a convenient compact system, everything nests perfectly and comes in an abrasion resistant 500 wt nylon case. 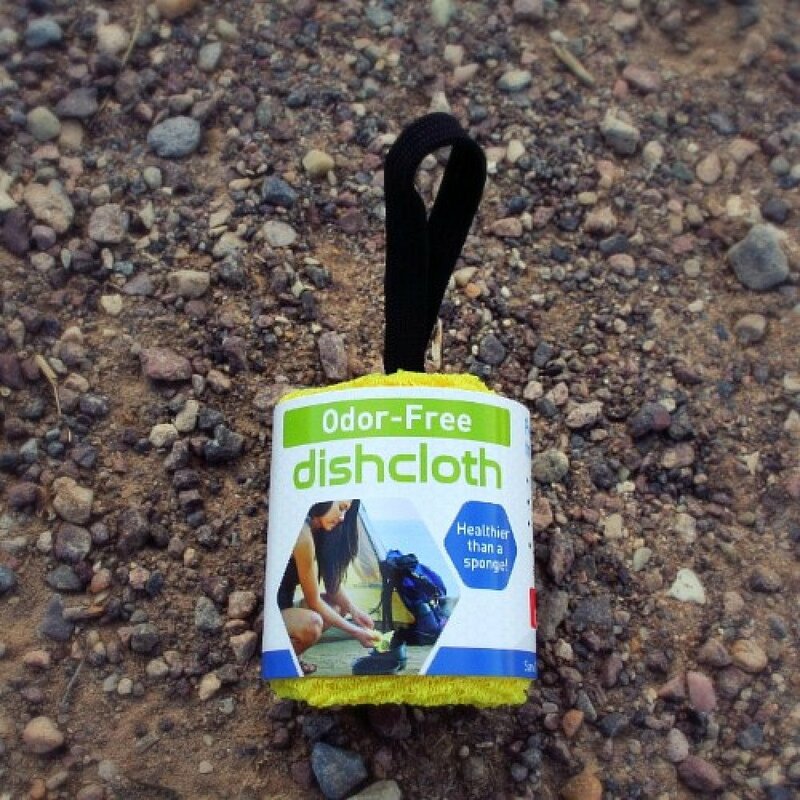 Much more useful than traditional camping cook kits. 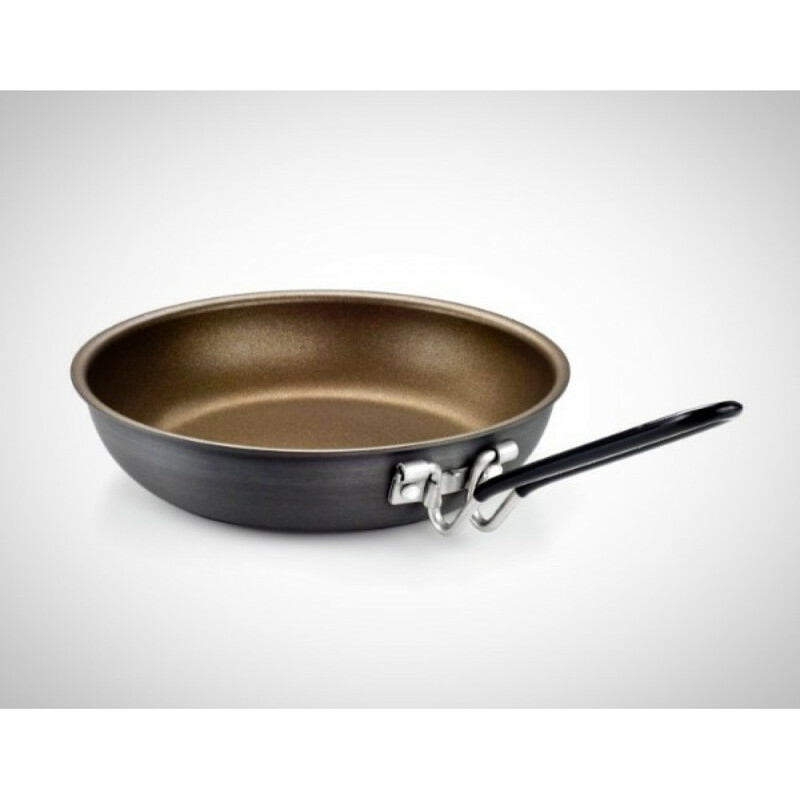 Use it as a Dutch Oven, it's a pro quality sauté pan and the pie pan makes a great plate! 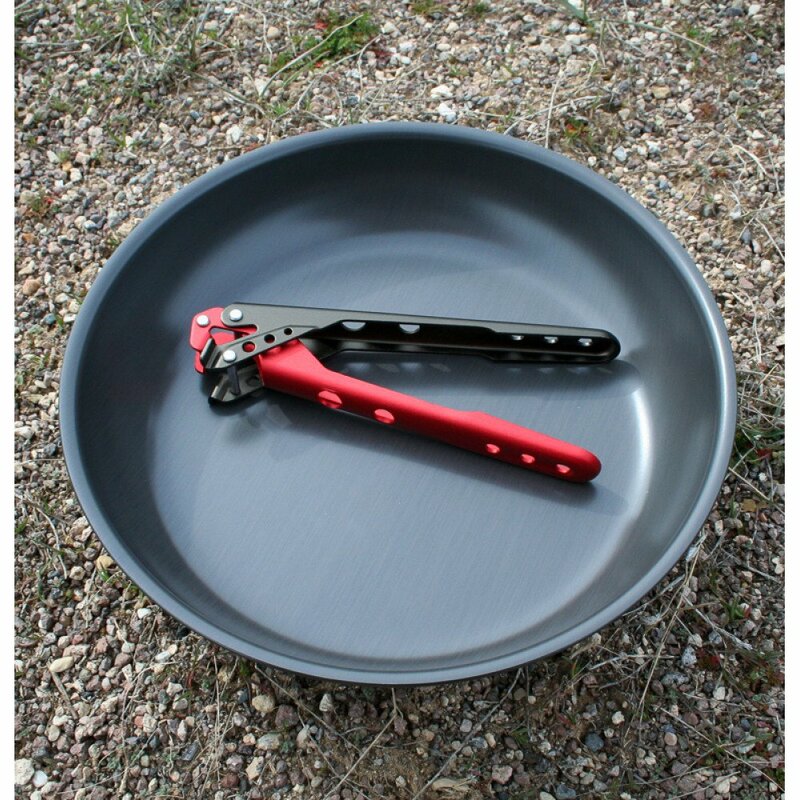 Rather than a heavy folding handle I designed a universal light weight handle / pot gripper that works with both the pie pan and the sauté pan not to mention your other pots, pans and stainless steel water bottles! 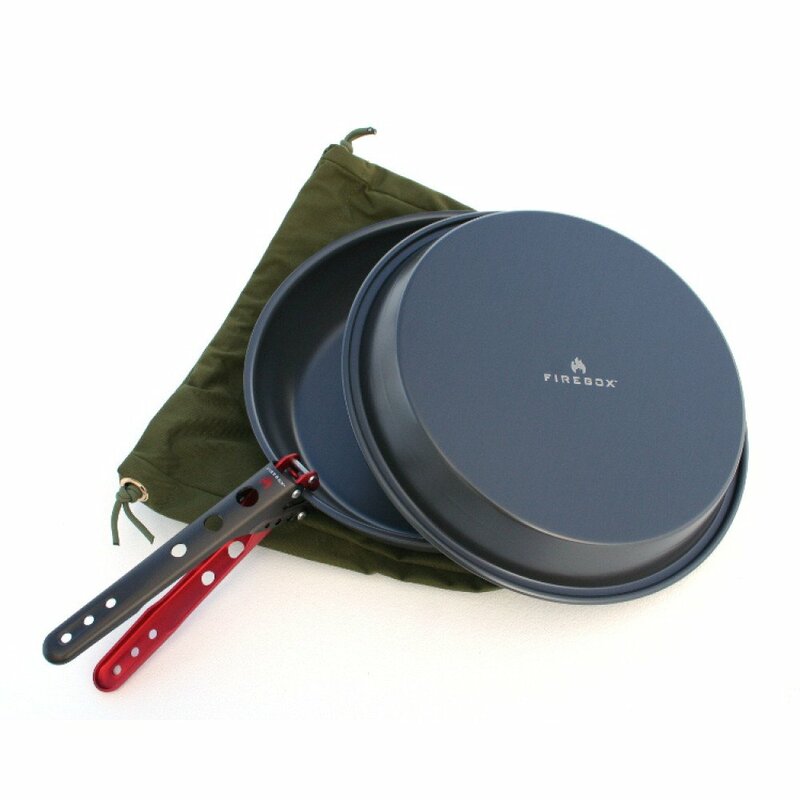 Included in the Firebox Ultra Cook Kit: premium hard anodized pie pan, professional grade hard anodized fry pan, 500 wt nylon carrying case with para cord closure, and removable handle (Long Pan Lifter). 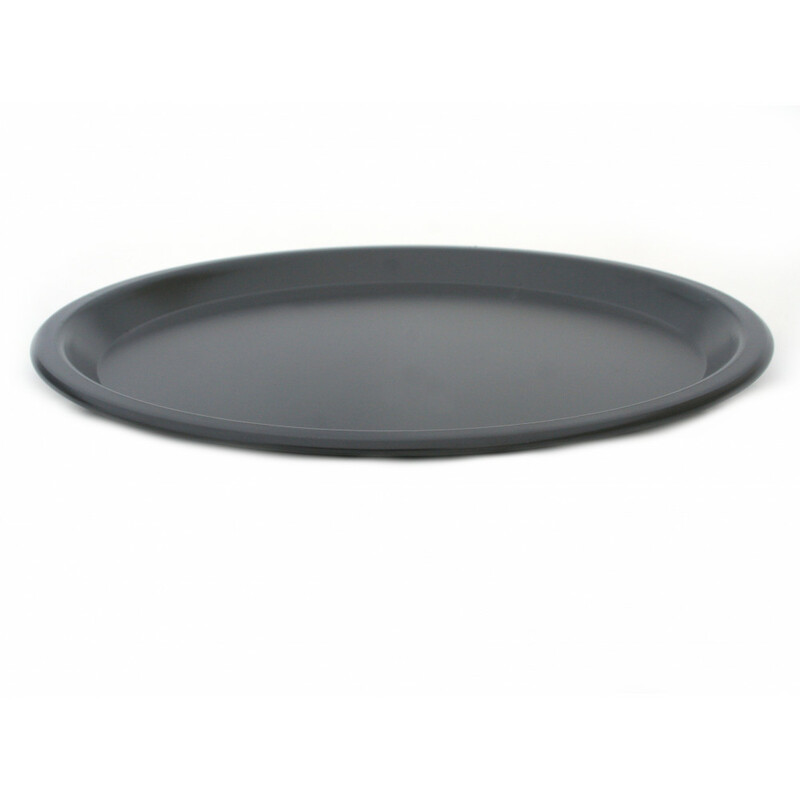 Optional add on item: Cutting board (small to fit down in the pie pan OR large to fit up on the rim of the pie pan). The aluminum is behind a ceramic layer of aluminum oxide (very hard and durable) along with your natural oil seasoning so it never comes into contact with your food. 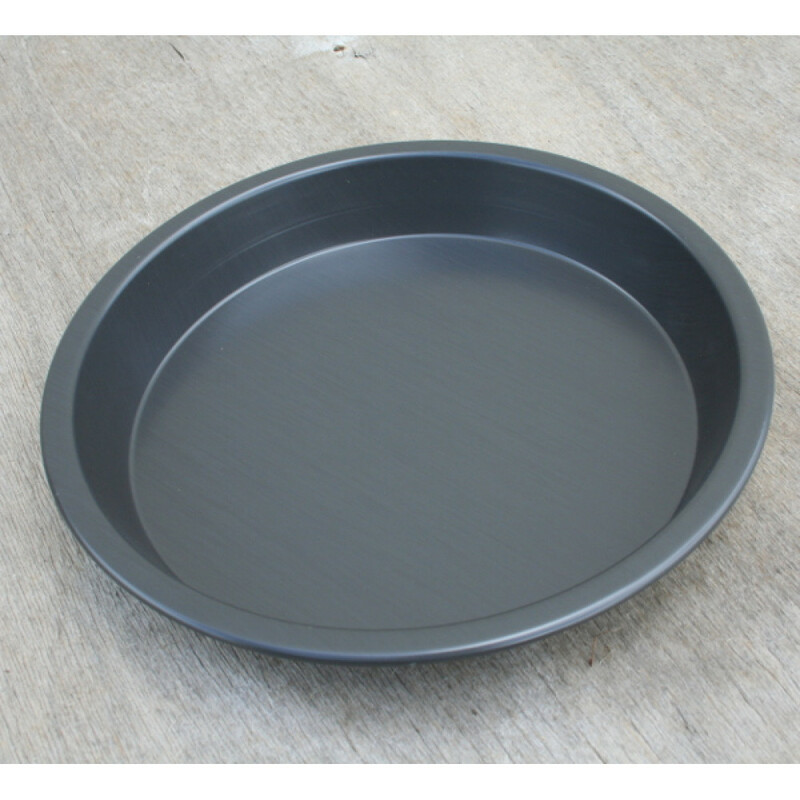 Disclaimer: Inherent to the manufacturing process, there are unavoidable cosmetic marks on the rim (outside edge) of the frypan. This does not affect usage or long term durability and we feel it is worth it to have the hard anodizing finish inside and out. 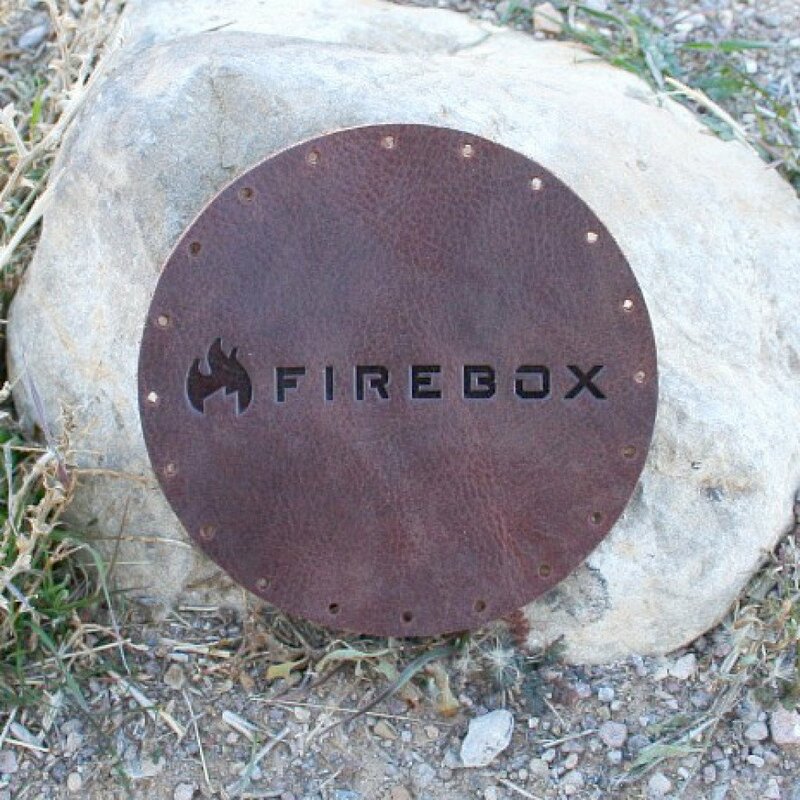 Inside height with Pie Tin on Fry Pan: 3 1/4 inches.